Hello! 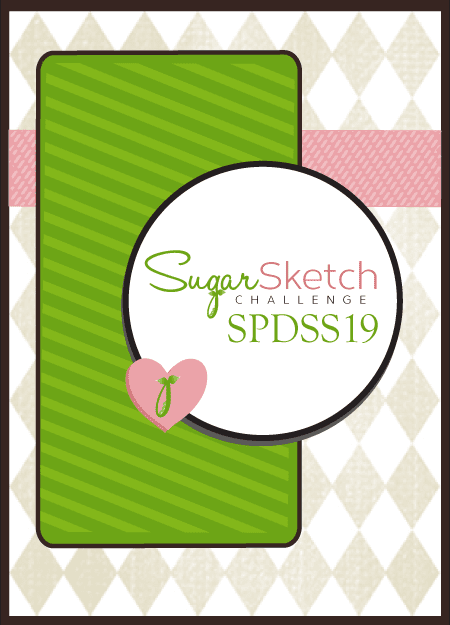 It's time for another new sketch at SugarPea Designs and once again it's another fab layout! I used the Classroom Cupids stamp set for my card today. I just love that sentiment and the guitar is so fun! 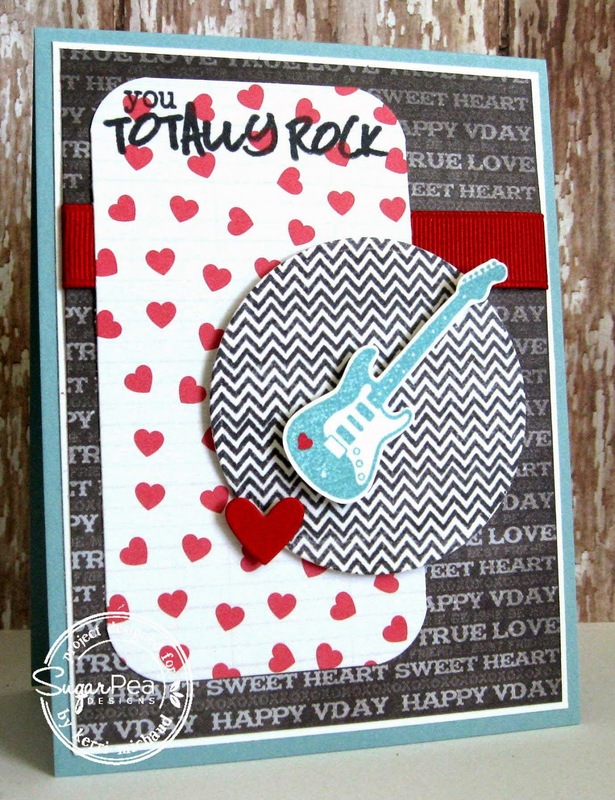 I also used the Build a Background-Basics to stamp the bg behind the guitar. This stamp set is part of the Sweet Incentive Program which you can read about HERE! Finally, I added the heart which I cut using a SugarCuts Heart Journal Card Die. The dp is My Mind's Eye Cupid's Arrow. We hope you'll play along with us for your chance to win up to a $15 Gift Certificate to the SugarPea Designs Online Boutique! Just link your projects on the SugarPea Designs Blog HERE! Thanks for stopping by today and have a wonderful Monday! This just screams fun Kerri! I remember having a mailbox for my valentine's at school. Had forgotten about that - thanks for the reminder. Wonder if kids still do all of that.